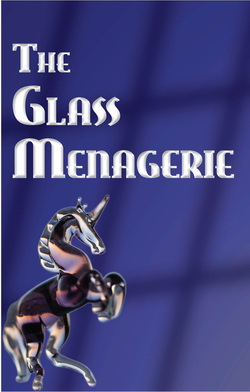 The Glass Menagerie is presented by special arrangement with Dramatists Play Service, Inc., New York. This hauntingly memorable family drama by Tennessee Williams is one of the most admired plays of the last sixty years. Amanda Wingfield is a faded remnant of Southern gentility who has raised her children alone under difficult circumstances. Her daughter Laura is an extremely introverted young woman who has little contact with the world outside the family’s dingy St. Louis apartment. Amanda’s son Tom longs to be a writer but works in a shoe factory, escaping frequently in alcohol and the movies. When Tom brings an acquaintance home for dinner, Amanda gets caught up in the illusion that this “gentleman caller” could be a husband for Laura – and provide her fragile daughter with the remembered glamour Amanda longs to reclaim herself.